The organisers of Brussels' Short Film Festival are raising the stakes with an ambitious new project to create an international film festival that will take its place alongside Venice and Cannes as an essential element in the festival cycle. From 20-30 June, the first edition of the Brussels International Film Festival (BRIFF) aims to turn central Brussels into a "movie village" at the forefront of the international artistic scene. Aimed at the general public as well as film professionals, the BRIFF will also reflect the convivial, relaxed and fun and festive atmosphere that has characterised the past 20 editions of the Short Film Festival and made it so popular. In other words, it should be a great summer party. 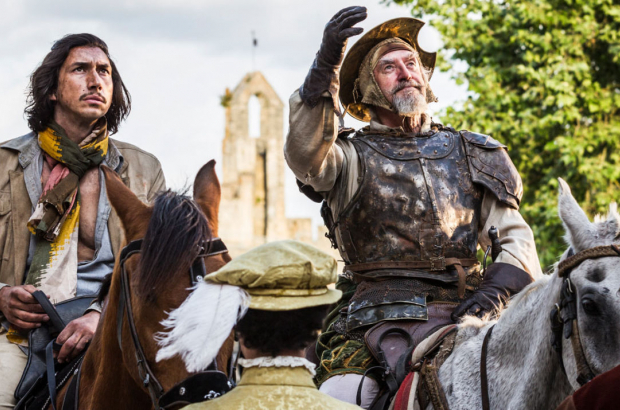 Céline Masset, co-organiser of the festival, tells The Bulletin: "We are thrilled to announce that the opening film of the festival will be a Belgian exclusive, Terry Gilliam's long-awaited film The Man Who Killed Don Quixote, which was 28 years in the making." With national, European and international competitions, the festival will be a showcase for Belgian cinema, a recognition of European cinema and an opportunity for previews of the best new international feature films. "On 31 May you'll find out which international directors will be presenting their films in competition," Masset says. "But I can tell now you that you won't be disappointed." There will be red carpet glamour but also free open-air screenings, as well as networking opportunities for professionals, workshops and masterclasses where the public will be able to meet and hire professionals, retrospectives, youth activities and a film market for programmers, buyers and distributors. "We are finalising the arrangements for the open-air screening which will be comprised of major cult movies, many of them in the presence of the directors," Masset says. "This will be an exciting list of movies and film makers." The guest of honour of this first edition is Claudia Cardinale, a true film icon, one of the great stars of Italian cinema. "She will be here for three days including the opening and we will be screening seven of her films," Masset adds. As a nod to the 50th anniversary of May '68 there will be a five-movie cycle of subversive cinema, provocation and dissent in a corrosive cinema that flirts with immorality and scandal. Fiction rubs up against reality in the cycle Me, Myself and I which will present five jarring portraits as people such as Bill Murray, Cecil B. De Mille and John Malkovich play themselves. Venues include UGC De Brouckère, Bozar, Flagey, Palace, Cinéma des Galeries, Cinéma Vendome and open-air screenings at the Mont des Arts and along Boulevard Anspach in the newly completed sections of the pedestrian zone. There will be live concerts and time for dancing, drinking, laughing and eating for the duration at the BRIFF village with its big top and terrace. Sorry! Our ticket giveaway draw has now closed.